Evah Pirazzi cello strings have quickly become one of the most popular and favorite strings for cello players of all levels and backgrounds. Why? First, they are a 'sure thing' in that they almost always sound the best compared to any other cello string sets on the market. Out of all the stringed instruments in the orchestra, it is the cello section where one will see the most varied string combinations. You may even see a completely different brand or manufacturer for each string. Here's an example: a Spirocore C, Evah G, Larsen D and Passione A! What!?? A cello player that combines like that is usually comparing and cancelling out which strings will work for what they want out of their particular cello and most likely have had that cello for a long time, knowing what works on it and to their personal tastes and likes. In this day and age though there is a lot of science involved in designing and manufacturing cello strings. Each string has an exact tolerance, gauge and most importantly, a specific tension. You can have an incredible sounding cello where every string and note 'speaks' spectacularly and then change out one cello string only to change and lose the whole response of the cello again. That's how important one string, adding or taking away tension is capable of. 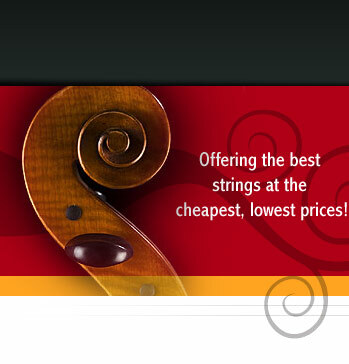 To buy our Pirastro Cello strings: We price our strings below what we are obligated to show on our web site. Because of this, we must use a 'private' page system. 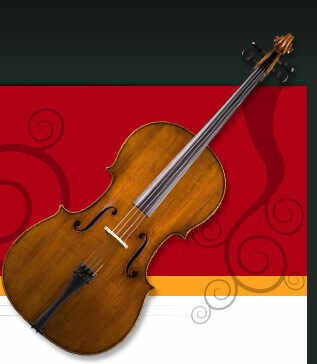 See our Pirastro Cello strings page. Evah Pirazzi cello strings are made to work in tandem as a set. Sure, you can add in or take out one or two strings here and there, like cellists love to do, but as a set, the Evahs are the best, balanced playing set you can get today. In this way, they are a sure bet. You will not buy them and then discover a really annoyingly bright or unresponsive string. They will all pretty much 'work' on any cello and these are probably the warmest, most responsive complete cello string set you can buy today. The new Evah Pirazzi Gold cello strings, are the most expensive, but we see a huge upsurge in sales of these because Pirastro seems to have improved their (already great) regular Evahs into the Gold brand. Cellists remark that they are more focused, and 'richer' sounding on their cello. That they offer a more layered and complex quality, without losing the 'pop' and response of the first Evahs Pirastro came out with. There are so many incredible choices for cello strings and players today, it's mind numbing and can be more than just a little confusing to try and decide on which ones might sound the best on your cello. Obviously, they are not cheap. With these 3 sets of Evah Pirzzi cello strings, there's no wrong answer or bad choice. These are not 'cheap' strings and they are Pirastro's more popular cello strings, so don't be afraid to pick a set. If you use the regular Evah Pirazzis now, and want a slightly more focused, centered sound on what you are using now, a logical step is the Gold Evahs. If you like more punch and a little more brightness, then the Evah Pirazzi Soloists might be the most logical choice. We hope this page at least offers a little more background on the Evah Pirazzi cello strings.